WASHINGTON (Reuters) – Voters in five U.S. states went to the polls on Tuesday to pick candidates for November’s midterm elections, with a battle among Virginia Democrats for the right to challenge an endangered congressional Republican topping the slate of party primaries. In Virginia, six Democrats were vying to take on Republican Barbara Comstock, who is a top target for Democrats hoping to seize 23 seats nationwide to gain majority control of the U.S. House of Representatives. South Carolina, Nevada, North Dakota and Maine also were choosing candidates for the Nov. 6 general election for Congress and governorships. Republicans now have majorities in the U.S. Senate and House, along with the presidency and dominance of the policy agenda. Comstock’s suburban House district is outside Washington, home to many federal government workers. Democrat Hillary Clinton carried the district over Republican Donald Trump by 10 percentage points in the 2016 presidential election. State Senator Jennifer Wexton was considered a slight favorite to become the Democrat who will face Comstock. Wexton went into Tuesday’s voting with the endorsement of Governor Ralph Northam and other state Democratic Party leaders. Other top contenders were former State Department official Alison Friedman, Army veteran Dan Helmer and Lindsey Davis Stover, a former adviser on veterans policy. Wellesley Daniels, communications director for Friedman’s campaign, said the race to challenge Comstock in November appeared to be generating excitement, with strong early turnout and a number of first-time voters. “They’re looking for someone who is not just going to bring a thoughtful approach to the big problems we face as a country, but also has a backbone and the courage to fight for what’s right,” she said. University of Virginia political scientist Larry Sabato said Virginia’s 10th District has shifted slightly to the left and that Democrats were fired up in opposition to Trump. Republicans in Virginia were choosing a challenger to Democratic Senator Tim Kaine, the 2016 vice presidential candidate, whose re-election appeared relatively safe. Corey Stewart, a combative conservative who nearly upset Ed Gillespie for the party’s gubernatorial nomination last year, was competing with state House of Delegates member Nick Freitas and pastor E.W. Jackson. In Maine, some uncertainty surrounded a contest among candidates to replace outgoing Republican Governor Paul LePage, who reportedly said he might not certify election results because he opposes a new voting format. Voters in Maine will be the first in the nation to use the system in a statewide election that lets voters rank candidates by preference rather than choosing just one. Under the system, used now in a few local jurisdictions, the election is over if one candidate wins a majority. But if not, the lowest vote-getter is eliminated and their votes reallocated until one contender gains a majority. Maine Secretary of State Matt Dunlap said the election results will be binding whether LePage certifies them or not, the Portland Press Herald said. 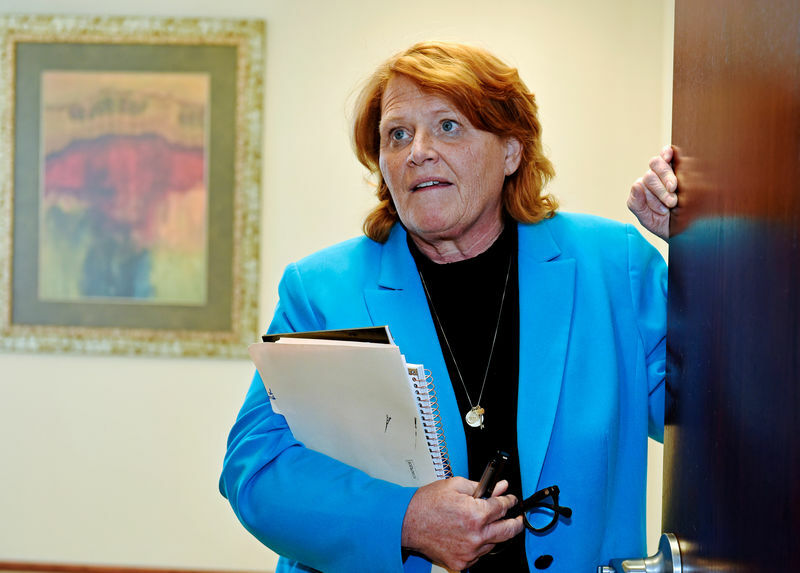 In North Dakota and Nevada, voters will set the stage for two of the most competitive U.S. Senate races in November, when Democrats must pick up two seats to capture a Senate majority. In North Dakota, Republican Representative Kevin Cramer faced little competition in the race for the nomination to challenge Democratic Senator Heidi Heitkamp. In the swing state of Nevada, Democratic Representative Jacky Rosen was expected to sail to the nomination to face vulnerable Republican Senator Dean Heller. In South Carolina, voters were selecting Democratic and Republican nominees for the governorship.